Two months after quitting Louis Vuitton, the British designer has taken over as artistic director at Dior Homme from Kris Van Assche. He had the crowd on their feet during the recent Paris men's fashion week where he showed his last men's collection for Louis Vuitton. Two months later, Kim Jones has been named the artistic director for Dior Homme. 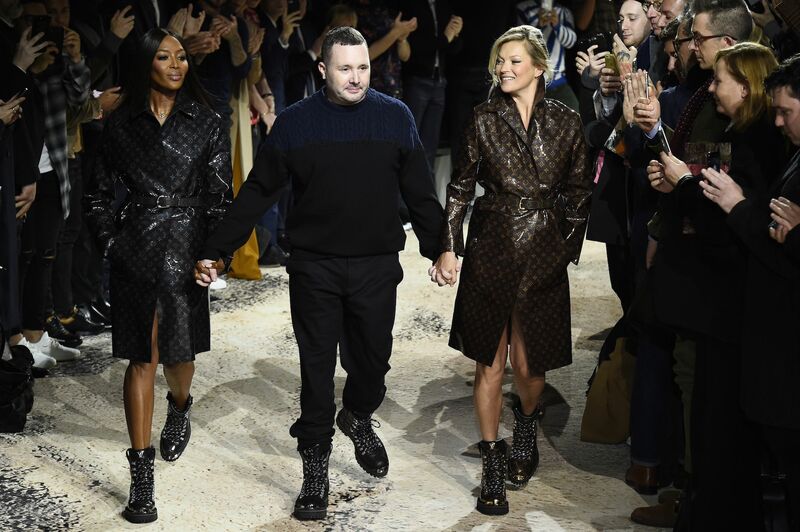 The 38-year-old wunderkind -- who insists that he wants to retire by the time he is 45 -- brought a buzz and a galaxy of star fans to the Vuitton catwalk in his seven years at the label. "I am deeply honoured to join the house of Dior, a symbol of the ultimate elegance," he said in a statement. "I am committed to create a modern and innovative male silhouette built upon the unique legacy of the house." Jones made headlines with a series of eye-catching hook-ups with hip New York streetwear brand Supreme and the iconoclastic British artists Jake and Dinos Chapman during his time at Vuitton. The fashion label had poached him from British heritage house Dunhill in 2011, which he had dusted down and given a new lease of life. At Vuitton he brought his passion for wildlife and for exotic travel to his ultra luxurious collections, mixing a lingering nostalgia for British colonial chic with a streetwise edge. The creator, who had a globetrotting childhood that took in Africa and the Amazon, said in November that he planned to retire in five years, or at least by the time he was 45. Van Assche's departure comes only weeks after the arrival of new Christian Dior Couture chairman Pietro Beccari, who had worked with Jones at Louis Vuitton. Dior said in a statement that the 41-year-old Belgian, who added a punkish street style influence to Dior's fine tailoring, would be staying on with the luxury giant LVMH, which owns the label. Women's Wear Daily, the fashion industry bible, had reported that Jones was in talks with Versace in September. It said the Briton was one of the "small clutch of marquee designers who can straddle the luxury and streetwear worlds, which is why Versace might have come knocking".